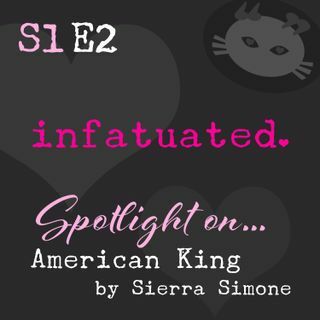 This second episode of the first official season of the Infatuated Podcast is all. about. New Camelot. Join the angst-fest as we celebrate (and curse) the highs and lows of our experiences reading American King, the final book in Sierra Simone's New Camelot trilogy. This episode is RAW (these books inspire some serious feels, peeps!). If you've read Sierra Simone's New Camelot series, you know exactly what I mean. Listen in to hear our 110% honest thoughts about this extremely ... See More emotional rollercoaster ride of a series. If you have not read the New Camelot books and want zero spoilers going in, read them, then come back and dish with us! Trust me, you're gonna need it. If you are looking for spoilers for the end of American King (because honestly, I was—I avoided reading it for over a year because I didn't know how it would end), this is the podcast for you!! If you've already read the books, definitely join us and let us know your thoughts! Check out the show notes at http://bit.ly/GetIn-S1E2 for handy buy links and to meet this episode's guest co-host!